If you are looking for the perfect lantern to add a warm burst of light to your graden or interior then look no further than the Broste Sally Bamboo Lantern. This beautiful lantern is expertly crafted from bamboo, which has been delicately whitewashed. The lantern gives off a raw effect, it is a unique bulb shape with a glass candleholder that sits on the inside – it will hold a candle up to 6 cm. 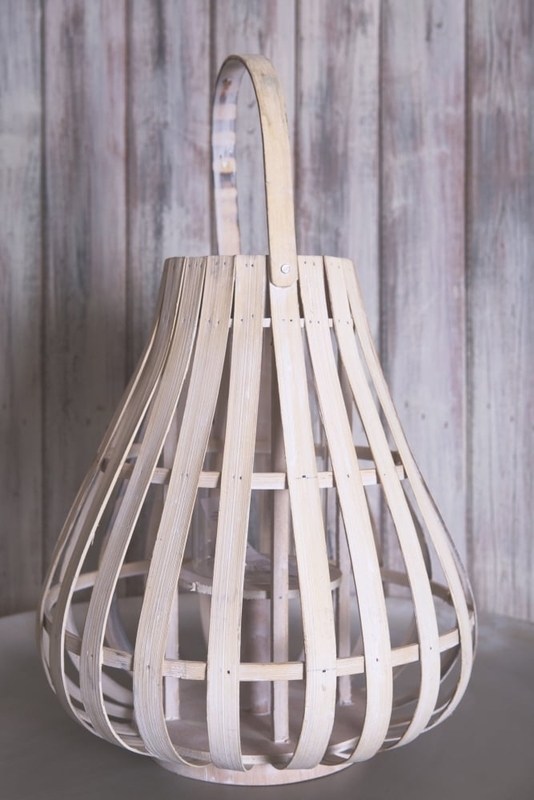 The Sally Bamboo Lantern will look amazing teamed with the set of Amalie Lanterns also handmade by Broste. Broste are a well-established Scandinavian home wares company that produces the highest quality goods.